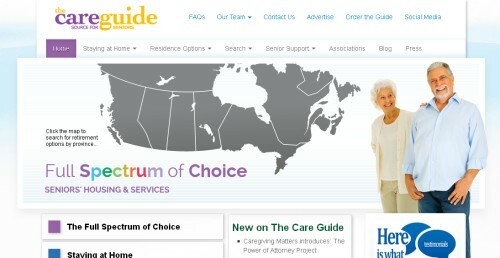 A couple of weeks back, we wrote about TheCareGuide.com, a Canadian website devoted to seniors housing, health, planning, and education. While there, we learned about the “Power of Attorney Project”, an inititiave of Caregiving Matters, a charity devoted to providing education and support to family caregivers. If you’re dealing with not only planning your own retirement, but helping your elderly parents to consider their options for the next phase of their own retirement, the project can be a valuable resource. Last year, as part of the project, the organization held a full-day of workshops on a variety of Power of Attorney topics, and they’ve made these presentations available online. The full-length videos of the presentation cover such topics as what you need to understand and do in considering a power of attorney; power of attorney investigations; an approach to help make decisions; practical considerations, and more. The videos are close to an hour apiece, but they’re well-shot and the audio is very clear, and you can choose to watch (or listen to) them over a period of time. The Power of Attorney Project is a two year technology-based project that brings together a wide variety of experts from various industries and disciplines to educate adult children and seniors about Power of Attorney issues.